For the baseball or softball player in your life, it may seem like an impossible task to pick the right gift for the holidays. Many of the products and accessories used by high-level players can be difficult to choose or select without them there since most things like bats, gloves, or cleats, come down to specific personal preference and style. Luckily, below, we’ve sourced and chosen some excellent options in every different price range, that any ball player would be thrilled to unwrap! 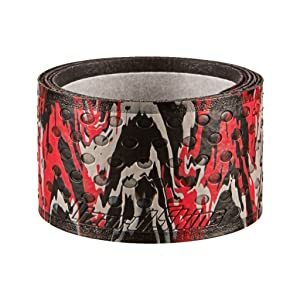 These grips have skyrocketed in popularity over the last couple years. Found everywhere from the World Series and All Star games, to little league parks in every town, they are a great gift for any budget and can make great stocking stuffers. Made of a soft polymer material, adhesive, and decorated with various designs and colors, Lizard Skin is precut to fit on bats of every kind. Wrap around Wooden, Aluminum, or Composite bats to help increase grip and control, while reducing sting and feedback from the ball for added comfort. The lightweight fabric is slip resistant whether wet or dry. Pick a color or design that helps represent your player’s style or match their school or team’s colors. Also can be a great way to refresh an old bat and help make it feel like new again! Equipment bags are invaluable to the baseball or softball player. Regular gym bags can’t quite hold or stand up to the bulky equipment that most players need to have. Things like helmets, facemasks, bats, extra balls, and gear, take up a lot of space. There are a ton of options on the market for baseball and softball-specific use. There are two main types differentiating them, in addition to how big they are and how much they can hold. 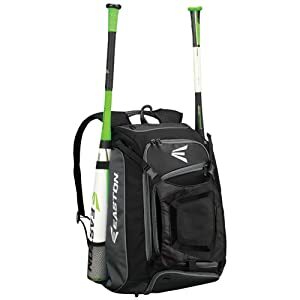 Some types are fully enclosed with a way to zip the bats fully into the bag, and others have mesh pockets on the outside of the bag, for easy access to pull them in and out. Most bags will hold at least two bats and have a hook so they can be hung on a fence. Below are links to our three favorite bags based on features, durability, and style. Key features to consider is how much gear your particular player needs to have with him or her on the field. A catcher may require more than a pitcher, for instance. For a player that heads to the field after school, a multi-purpose bag with space for a laptop and books might be a nice addition. Some also have space for things like water bottles and cell phones to increase organization. Other things your player might enjoy is having space to embroider their team name or their initials, and some level of waterproofing or water resistance is a nice touch to be sure gear stays protected. Pick a neutral color that helps it blend with every day, or complement their team colors. Most designers have many different options for designs and colors. This is a very unique gift idea, especially for the seasoned player! These packs come in various colors and have pre-cut lace of various sizes to redo sections, or in many cases, a full glove. 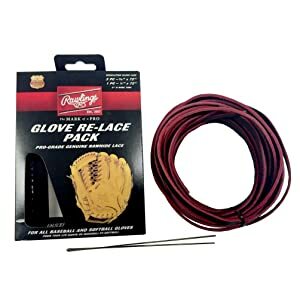 Whether you’re trying to rehabilitate an old glove that your player just can’t part with, or you want to give your enthusiast a chance to stand out in the field or add some team spirit by incorporating school colors into their glove, this pack is a great idea! Even if they don’t use it right away, this is an excellent stand by for emergencies should a last minute repair be required. There are plenty of YouTube tutorials online for those unfamiliar with how to re-lace and can even be a fun activity to do with them, depending on your player. Some larger gloves, such as catcher or first basemen’s mitts may require additional packs, but any standard-sized glove should be covered. No matter how great the player, added safety is always a great gift! Much better than bulky gear, are athletic shirts that have a protective shield that molds to perfectly fit the player’s body in minutes. Referred to as “Gel to Shell” this style of protection ensures a satisfactory fit and can keep your player safe against harmful blows to the cardio silhouette, by dispersing instead of absorbing the impact. This keeps their heart protected in the event of a wild or poorly aimed pitch, or a bad hop while on base or the pitchers mound. As an added benefit, these shirts are also great at wicking moisture, creating a two-in-one under uniform solution. 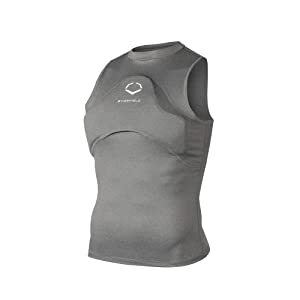 Available in adult sizes, specifically for women, as well as for children, chest protection of this type is most recommended for anyone under the age of 14 as they are most susceptible to the health risks of a blow to the chest. An awesome gift idea that is sure to please any player. This site allows you to get top rated batting gloves, and customize every color and detail design. You can also add your player’s initials, or a team name. Some people even include dates of past championships as a nice reminder of previous successes. An easy to use site, there are two types of batting gloves available and several colors so you can create a one of a kind gift that will most definitely be noticed in the field. Whether you design it and have it ready to gift come holiday time, or give your player a chance to do the customizing themselves, this idea is a tough one to top! Once you gift your player a pair of these, they’ll wonder how they ever lived without them! A handy way to protect either metal or molded cleats when they’re not walking on the field. 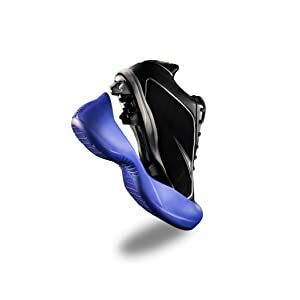 Most often, players have to wait until they’re safely on the field and find a place to unlace their street sneakers so they can put on their cleats. Help save time and ensure the spikes stay protected on walks to the car or anywhere else. Cleatskins slip over any cleat quickly and they come in a variety of colors. They look great and serve a fantastic purpose. Grab the “Cleatskin Pro” for molded cleats and “Cleatskin Metal” for metal cleats. They’re durable, slip resistant, and won’t mark-up surfaces. Pick their team color so they can represent their team on and off the field. These are sure to keep cleats looking and working great through the full season, and into the next! Baseball and softball players are continually looking to fine tune and improve their skills. What better way to get them pro tips to keep moving forward than the gift of video analysis! There are a few sites and programs out there as options, but this site enables you to sign up for packages or just individual assistance. Just video and submit. Their complex analytics program will breakdown the mechanics of their movements and stance and give them professional level tips and notes on what they do well and where they can possibly improve. The return product is clear and comprehensive and some packages even include the change to chat with pros at any time throughout the season to be sure they’re staying on the right track! A great resource for any player at any level that is passionate about doing their best! The gift of clear, undistorted sight on a sunny day is an invaluable one! As the game of the summer, great eyewear in baseball is important not just for eye health in the face of harmful UV rays, but also helping to be sure your player has a clear view of the ball and the activity on the field. 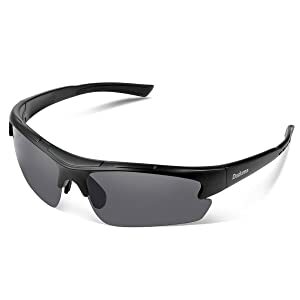 Good baseball sunglasses should be shatterproof, have full UV protection against both UVA and UVB rays, be free of distortion, and have a rubber nose and ear and temple pads to help ensure comfort, safety, and grip. Sunglasses designed for baseball and softball players are lightweight and the lenses should wrap around slightly for maximum protection. Polarized lenses will help reduce glare, and there are many color options, designs, and price points to suit any style or taste. This is an awesome gift idea that can be enjoyed just as much off the field as on! I know we started out this post mentioning that purchasing a bat on behalf of someone else might be a tricky endeavor since there are so many options and many times the right one relies heavily on player preference. However, we took the time to find two bats – one softball, and one baseball – that are across the board crowd pleasers! If your player is in need of a new bat, you can’t go wrong with these picks. For the baseball player, there is the Easton Mako Beast! This is the most popular model from the most popular manufacturer of baseball bats. It is a BBCOR bat which means it’s approved for play in high school and college teams. This is a two-piece composite bat which means it is unparalleled when it comes to balance. The perfect solution for the player still working on their mechanics, or a great contact hitter who has already mastered their swing. This bat is also produces the most power with the least amount of weight. A true win on the field and a definite winner as the best gift ever! For softball players, we think everyone would be thrilled to unwrap Louisville Slugger Z4! It’s perfectly balanced as well, so it’s a great pic for the newer or seasoned player alike. It packs a mean punch for any slow pitch league and is available in three different weights. This bat is approved for play in any USSA, NSA, and ISA leagues and has been a crowd favorite for years! Although it may seem impossible to find a great gift they’ll use and truly appreciate, we hope this list gave you some inspiration to go out and make this the best holiday yet for the softball or baseball player you care about most!